They’re a vision in blue! 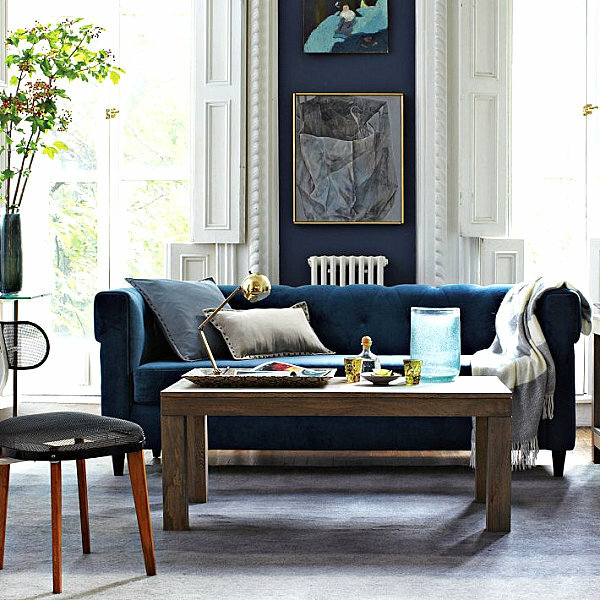 Today’s featured finds are striking precisely because they showcase a range of azure shades, from peacock to steel. 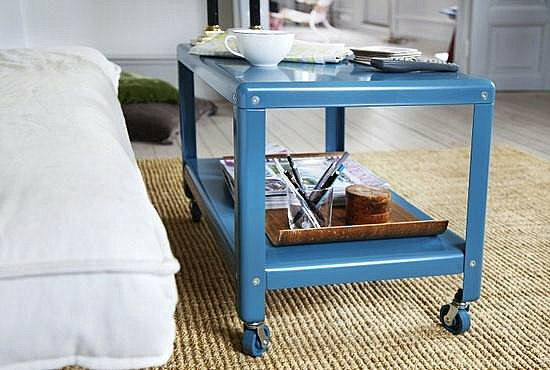 That’s what we love about blue–it can be soothing, powerful, or electrically jolting! 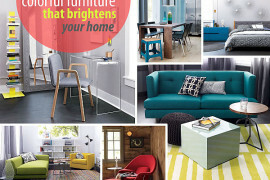 Yes, it’s definitely a versatile hue… We at Decoist love shining the spotlight on furnishings in a rainbow of colors. 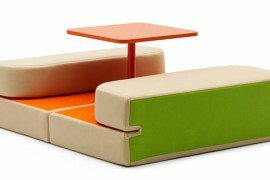 So far in our series, we’ve enjoyed bold red, radiant orange, sunny yellow and chic green furniture finds. 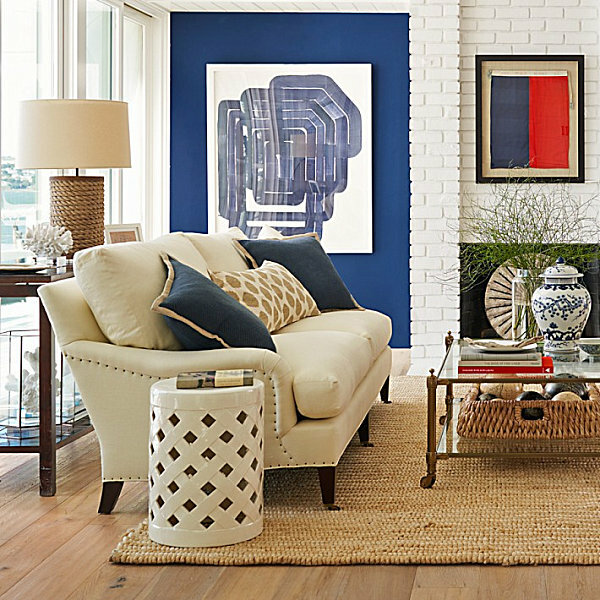 In this post, we’re all about the blue! 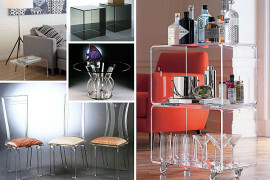 We’ve grouped today’s finds by furniture type, starting with seating and ending with a series of accessories to ice the cake that is your beautifully designed room. 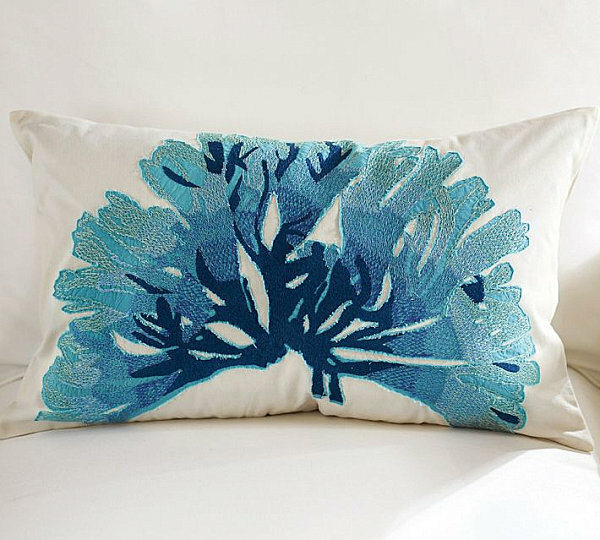 If you’re a fan of blue, you are definitely in luck this season! 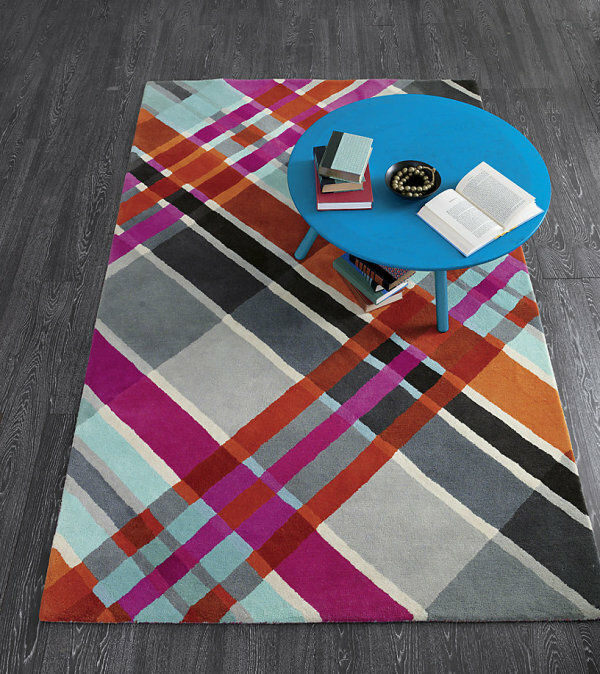 It’s one of fall’s hot colors, thanks to Pantone’s color predictions, as well as a renewed interest in vibrant hues. Let’s start with some comfy seating! 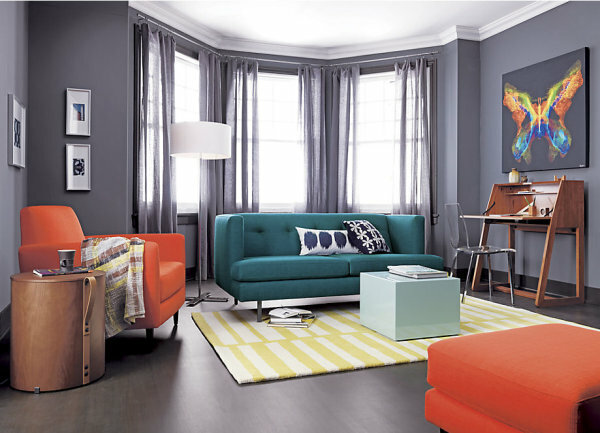 This Avec Peacock Apartment Sofa from CB2 boasts a ton of’ ’50s style. 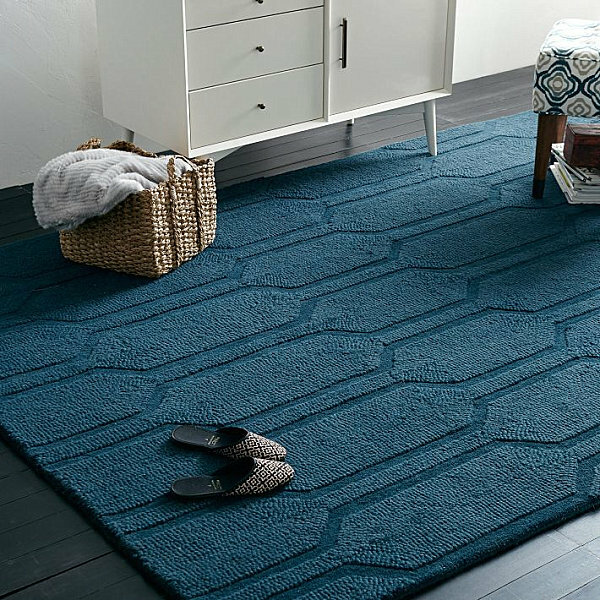 We like it so much, we’ve featured it in a variety of our posts–there’s just something about that color, those clean lines, the tufted back, and the piece’s size (which makes it perfect for compact rooms)! 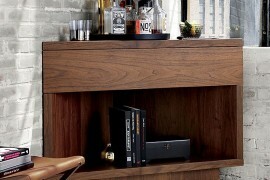 For another take on tufted seating, check out this Chester Tufted Upholstered Sofa from West Elm. 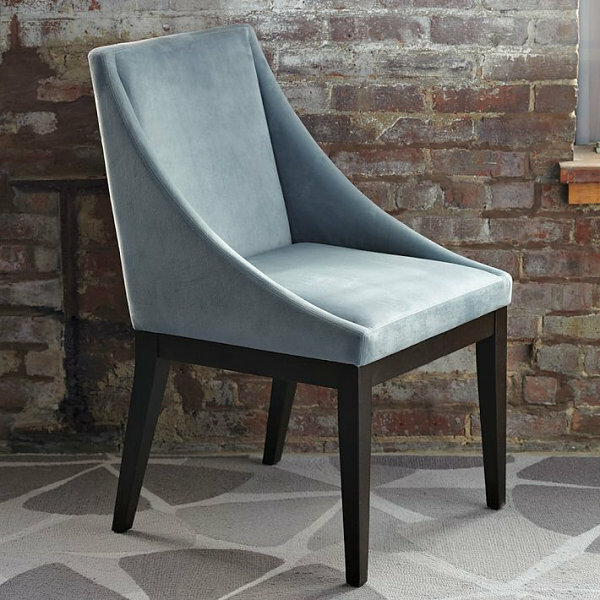 A deep blue color, curvy silhouette and tapered legs make it ideal for elegant spaces. Do you know someone with a blue and white kitchen? Or an all-white culinary space with blue and white accents? 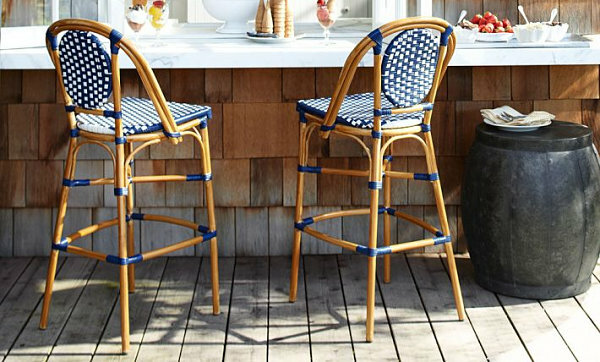 These French Cafe Barstools in Blue from Pottery Barn would be the perfect complement to a bistro-style room. There’s just something Parisian about them… Plus, with all-weather wicker seats, they’re great for the outdoors! Okay, so technically this next piece is a dresser rather than a table! 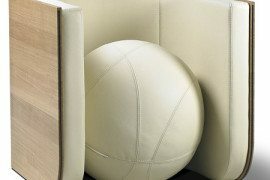 But like a table, it offers plenty of surface-top space. 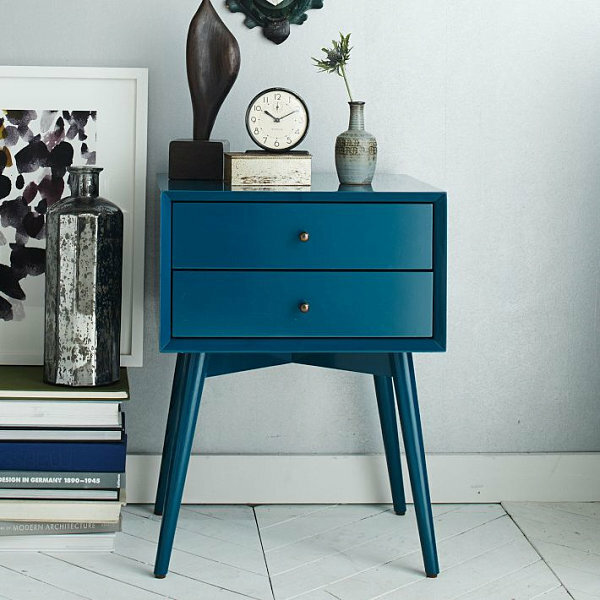 Say hello to the Latitude Slate Low Dresser from CB2, complete with long lines and a glossy blue finish. 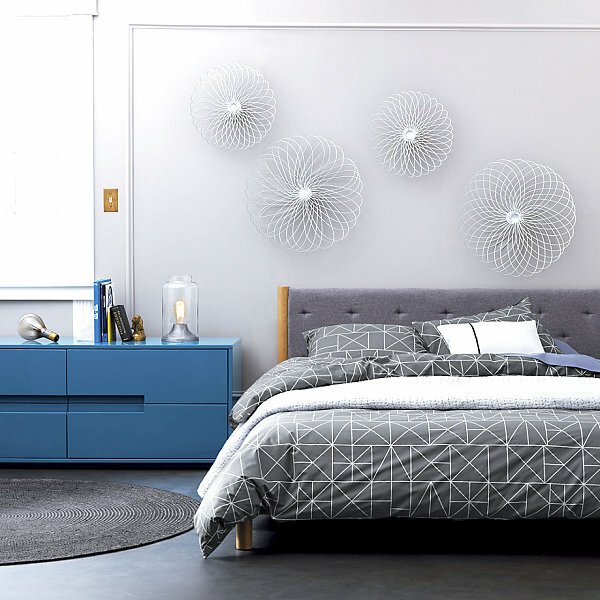 Anyone else noticing how CB2 is making a BIG statement with blue pieces this season?! 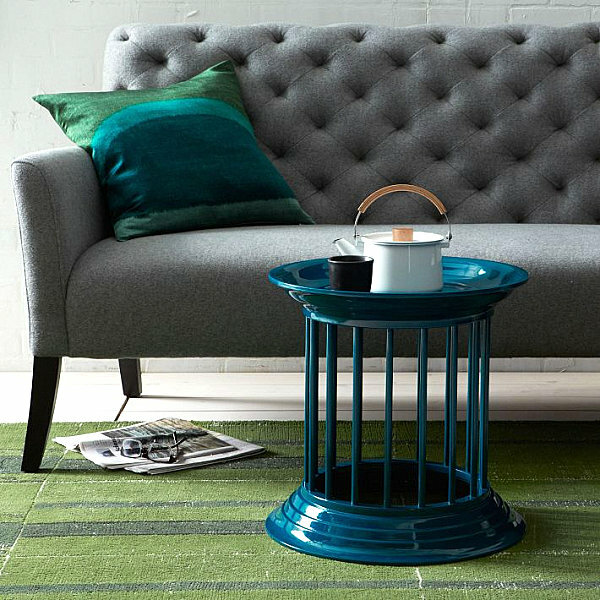 For a slightly tropical take on the blue furniture craze, check out the Kruger Harbor Blue Side Table from Crate & Barrel. With a bamboo-like lattice design, the piece incorporates resin wicker over a powder-coated aluminum frame. 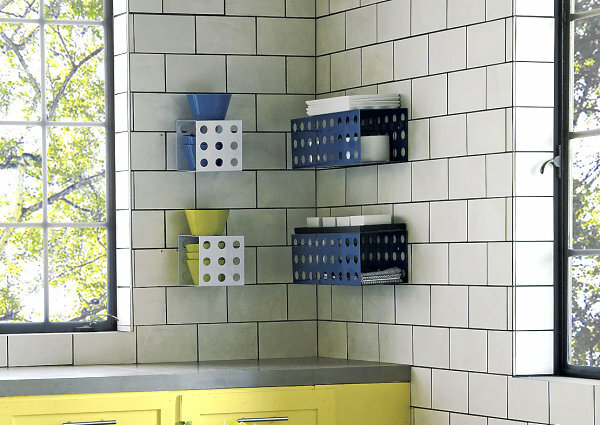 In other words, you can use this eye-catching find inside or out! 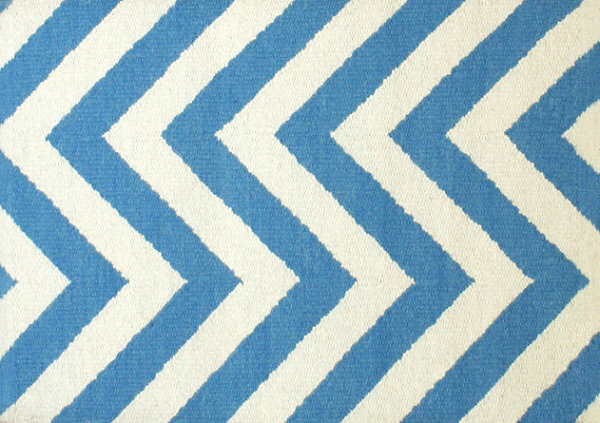 With your blue furniture in place, it’s now time to make a statement with a series of accessories… This Turquoise Herringbone Rug from Jonathan Adler is an update on the much-used chevron pattern. Made from llama’s wool, the piece is hand-loomed in Peru! 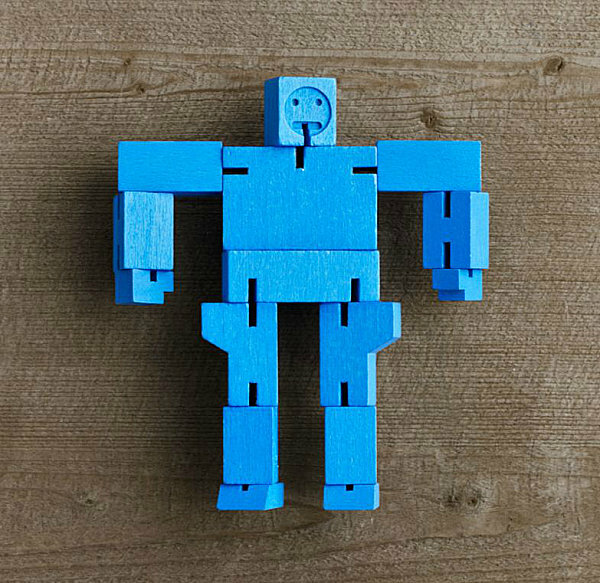 We end with a fun item that will puzzle you (no pun intended)!… The Micro Cubebot in Blue from Restoration Hardware consists of a cube that unfolds into an elastic jointed robot that can be arranged in a variety of poses. Getting it back into cube form is where the real challenge arises! This clever game/sculpture is definitely display-worthy.